I've had a pretty hectic weekend with going out with my girls, a family gathering and work. I really want to show you my outfit from going out as I love my dress so I need to find the best picture as I forgot to take a picture before I went out. 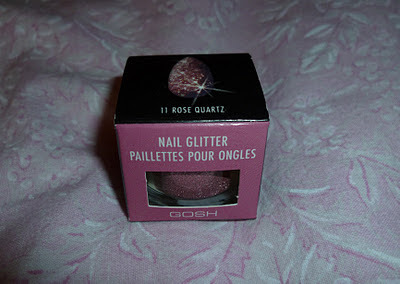 I recently purchased the GOSH nail glitter as I am a regular reader of Lily's blog and she has recently posted about it. I can't find a link for this at the moment but it was £3-£4 from Superdrug. I have been wearing fake nails a lot more recently so I might do a follow up post on how I do my fake nails as I was pants to start with and it's always good to have some advice! 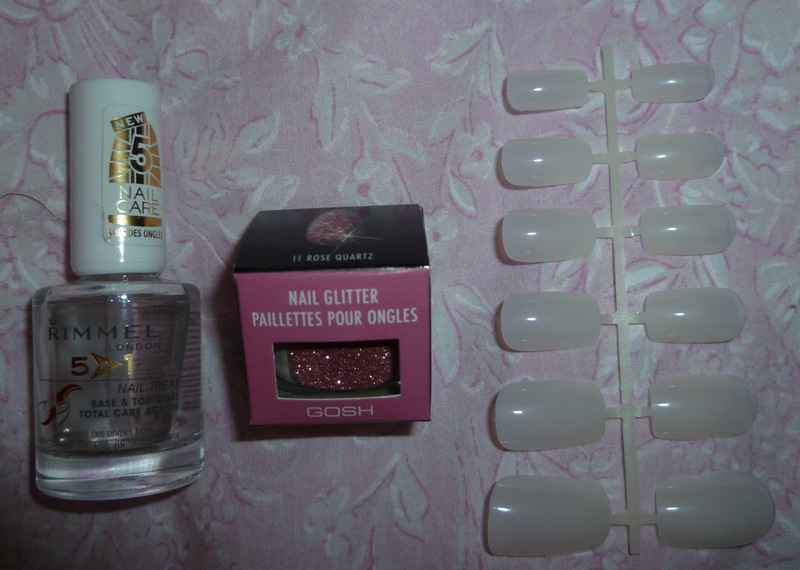 Ok so you have to do a coat of base/top coat to ensure the nail glitter sticks and I used this cheap ebay false nails which I will post about in the near future. 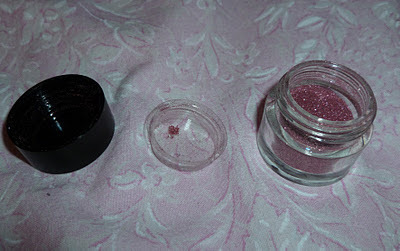 So the pot has a little lid to ensure the glitter doesn't get EVERYWHERE. I actually found it better to put some of the glitter in here rather than be worried about spilling the whole put of glitter everywhere and then put the excess back in. 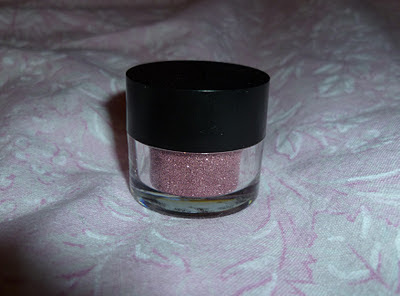 I just put the nail in with the base coat on and pressed down with my finger or a nail tool to ensure the glitter stuck everywhere. ...this is the finished product! The whole process did take quite a long time but I was prepared to waste spend my time doing them. 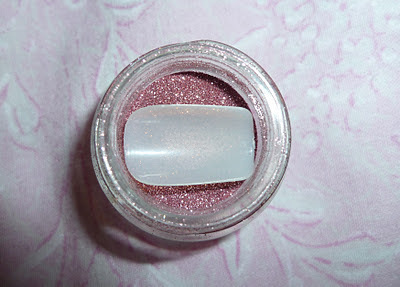 I love the colour and the fact it's quite matte but it is very fiddly and the pot is slightly too small. I had read that you couldnt use top coat because it stuck to the brush so I used an oldish topcoat and I thought it was fine, you just have to wait for it to dry properly. Overall I'm a very happy bunny. They look perfect, I'm really tempted to try this. no way this is so cool!!! thanks for the tip!! 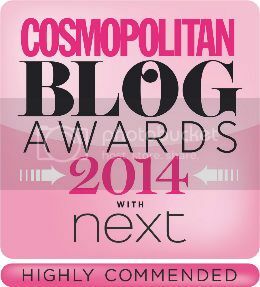 I did indeed enjoy - so much so that I've awarded you the Kreativ Blogger Award! Head over to my blog for more info!